Eat. Live. Laugh. and sometimes shop! : Time for dinner. I was apparently one of the few loyal subscribers and readers, but I loved Cookie Magazine. It was just the right mix of mommy and chic. Not too mommy. Not too chic. I constantly attempt to strike that balance (though, I have yet to ever feel too chic. Sadly the pendulum only swings the other way). Since the magazine closed it's doors I have been following one of the editor's blogs -- Dinner: a love story. I often site her recipes and strategies. 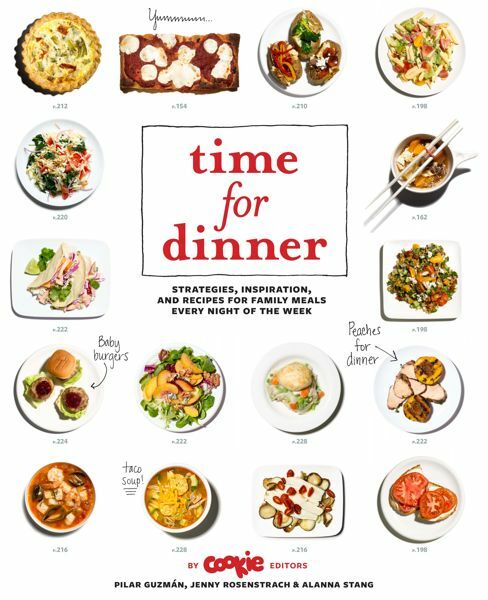 A cookbook has been in the works for some time and at last the wait is over -- time for dinner -- is available now! It contains over 200 recipes -- half from the pages of Cookie, the other half brand new and just as fun and easy -- plus tons of strategies and inspiration. One of my favorite features in the magazine was "So you have . . . " where they would help you create a dinner from a few items in the pantry / refrigerator (e.g., orzo and spinach . . . and voila three steps later a yummy dish). Loved that inspiration! Apparently, there is an entire section in the book which continues that tradition. I ordered my copy today from Amazon and cannot wait to start incorporating the simple, delicious ideas into our family meals! To order your copy click here . 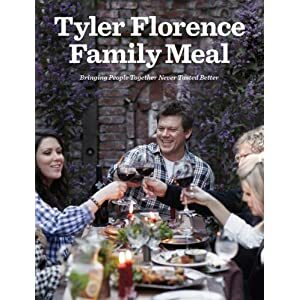 And because I was already there and I'm clearly a sucker for free shipping, I also ordered, or rather pre-ordered, Tyler Florence Family Meal: Bringing People Together Never Tasted Better . Yum! Sounds like I need to start planning a fall dinner party! Those look great! I might have to check them out myself! I love fall food aka "comfort food". Soups, casseroles, etc. Thanks for sharing!